I was so happy to rejoin my running group on this overcast of a Saturday morning. We took an easy, yet scenic 9 miler which crossed the 2nd Street and Big Four Bridges. It felt good to run for distance with no concerns of mile splits. Our rewards were at the end with an exchange of cookies, buckeyes and bags of candy. YUMMY! This entry was posted in family, Louisville. Bookmark the permalink. 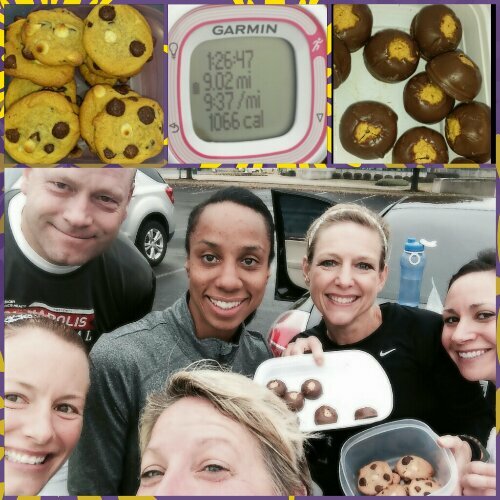 Any run is better when followed by buckeyes – love ’em (although I, too, am reluctant being from MI myself). And congrats to your foster daughter…she should be so proud! Thank you. Her GPA turned out to be a 3.6 so we are super amped. I grew up in Ohio…I didn’t realize people outside our borders ate our chocolated state nut too! Haha! I was reluctant being a MI fan!! That sounds like a delicious run this morning. Wish I could have joined you guys!! Next time, perhaps!! And YAY for your foster daughter’s achievements. 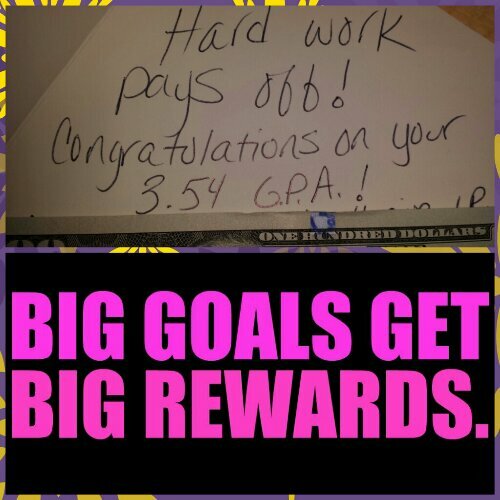 It took me a little while to recognize my academic potential…but once I did…I was 4.0 all the way…even through college! Intelligence and athleticism is a powerful combination! AMEN!! I couldn’t agree more!